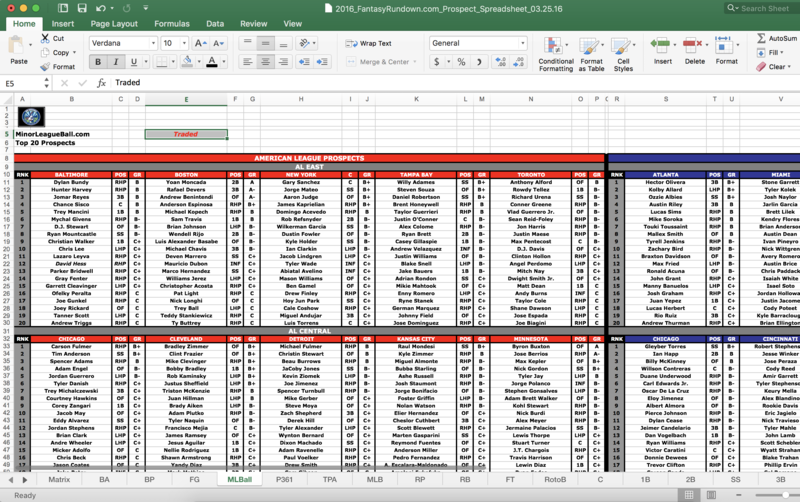 Prospect rankings from 20+ sites for both dynasty leagues and 2017 redraft leagues. 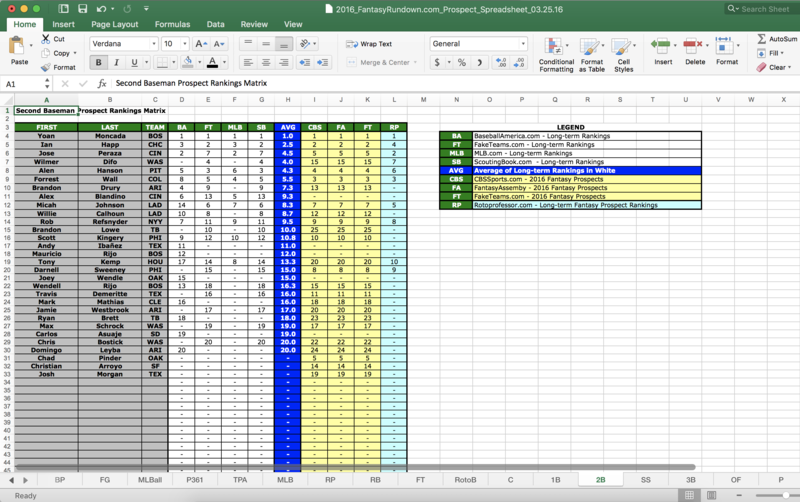 Team-by-Team prospect rankings from Baseball America, Baseball Prospectus, FanGraphs and more. 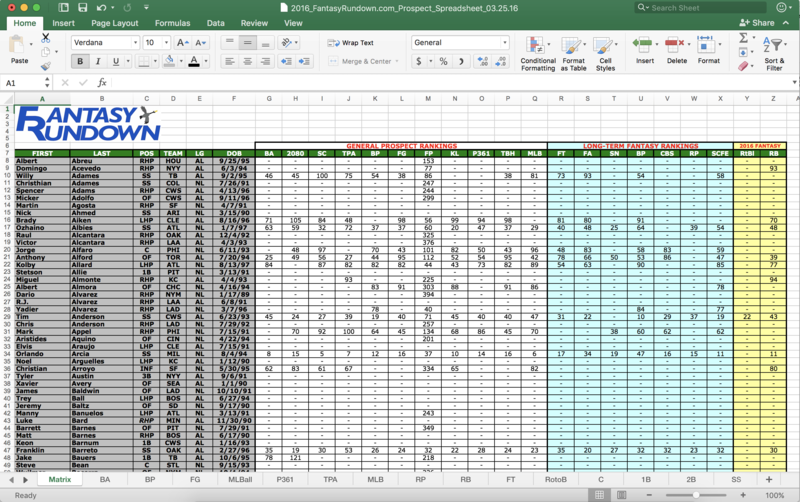 Back by popular demand, the 2017 MLB Prospect Spreadsheet is here! and all future updates, up through first pitch 2017.